I Am Not Afraid is Rev. Dr. Robert Bennett’s fascinating first-hand account of the spiritual warfare found within the Lutheran Church of Madagascar. Is spiritual warfare something new to the Church? 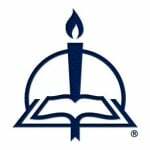 Bennett reviews what the Bible, Church Fathers, and contemporary Lutheran leaders have to say. In the following excerpt, Dr. Bennett describes his first visit to the Malagasy Lutheran Church. My experience into this strange world of paganism, exorcism, and the freedom provided by Jesus began with an interview of a pastor located 40 kilometers outside of the Malagasy city of Fianarantsoa. The trip from the capital city of Antananarivo to Fianarantsoa is difficult. One road connects the two cities. The road is about the size of neighborhood surface streets. Long sections of the road consist of only dirt, mud, and trenches that would devour a small car. However, the 40 kilometer drive to the historic Fifohazana toby (camp dedicated to healing) called Soatanana was considerably worse. In fact, Soatanana is only accessible by car during the dry season because of the road conditions. During other times of the year, people find it necessary to walk the distance. As we approached the toby, the Norwegian built steeple could be seen notably against the green background of the mountains that surrounded the camp. This site began as a mission outpost of the Norwegian Lutherans in 1840. As we grew closer to the gates of the camp, men and women dressed in white gowns were noticeable behind the fence. This was my first encounter with the mpiandry (shepherds) of the Fifohazana. . . .
Today, the shepherd movement remains a lay program for the training of both Malagasy men and women who will assume leadership roles in the church. The white robes they wear, some at all times and others only during religious events, easily identify the shepherds to the community. These robes are not merely liturgical vestments, but outward reminders of the forgiveness they have received through the blood of Jesus. The shepherds now believe they have been given the opportunity to live their lives free from the condemnation of sin and instead for the benefit of Christ and neighbor. Therefore, all of their time and energy is dedicated to that end. These were the men and woman behind the fence of the Soatanana toby. Upon our arrival, the pastor of the toby met us at the gate and provided us with a tour of the grounds. His name was Pastor Randrianandrasana. He had served this congregation and toby for more than twenty years. During the tour, we met a man sitting on the ground. He was staring at us with a strange and jagged smile. He was not dressed in the white robes that adorned the other inhabitants of the camp. As we walked by the smiling man he asked, “Hello, how are you today?” Amazed that he was speaking English, I began a conversation with him. He explained that he had learned English at the university where he had studied to be an engineer. I asked him why he was here in this remote place. His response shocked me. He said “I am here to receive freedom from the demons that torment me. I have been here for six months receiving exorcism daily and learning about the Christian faith.” I was speechless. How does one without any frame of reference to such things respond to such remarks? I would soon begin to understand. What I would learn would change my own worldview and by the end of this book may change yours also. Following the tour of the toby, I joined the pastor in his office. It was located toward the back of the church. This interview would be the first of many I would conduct over the next two years. This unedited interview is provided so the reader may enter this subject in the same way that I did. AUTHOR: How long have you been a pastor? PASTOR R: I have been a pastor since 1987. AUTHOR: How many exorcisms have you performed over the years? PASTOR R: Too many to count. I have been conducting exorcisms since I became a pastor. This is very common in our church and all pastors share this experience. AUTHOR: Are you currently working with those who are troubled persistently by spiritual forces or involved with any exorcisms? PASTOR R: Yes, I am currently working with fifteen individuals who are demon possessed here at the toby. AUTHOR: What is the cause of this possession? Was it something they did, something they asked for, or something that just came upon them? PASTOR R: This depends upon each individual case. Some have desired the devil to enter into them. They do this hoping that they will be given the gift of prophecy, fortune-telling, healing, or talking to the ancestors. This enables them to make a good living serving the traditional religions. Another reason some are possessed is because they are unfaithful to the Christian faith. Others are possessed for reasons that we do not know. AUTHOR: Are you saying that baptized Christians can be oppressed, or even possessed, by demons? How could Satan or his demons have dominion over a child of God? PASTOR R: Yes, there are Christians who are really possessed and oppressed by demons. However, when I say Christians, I am speaking about those who do not live out the faith they claim to possess. These are usually those who are Christian by only birth, or name. They belong to the Christian culture, but not the Faith. AUTHOR: Does the ancestor worship practiced by the majority of Malagasies play a part in the possessions you have encountered? PASTOR R: Yes, of the fifteen people here at this toby that are possessed, at least two of them have become possessed through their interaction with the traditional religions. They beg the ancestral spirits to possess them, but these are not ancestral spirits. They are demons who disguise themselves as ancestral spirits. This is especially dangerous for those who also confess Christianity. As far as the spirits go, we call this tromba possession. Many people desire this type of possession because it can make them wealthy. AUTHOR: I have read that many who have become possessed have first undergone a traumatic event in their life. Have you noticed this among the people you serve? PASTOR R: Yes, many of them became sick through natural means such as disease or accidents; it is then, when they are in despair, that the demons come into them. AUTHOR: When reading about possession, I have noticed different signs reported to be present in the possessed person. Have you noticed any such signs? If so, what are they? PASTOR R: Yes, many times we see outward signs of possession. The most prominent is the ability to tell of the future or unveil hidden events. However, we also see additional signs as well; they include speaking in foreign languages that the person could not have learned, and super strength. The man you met sitting outside was possessed when he was brought here. He had such strength that we were required to keep him chained at all times because he continued to try to kill everyone. AUTHOR: Is this man still possessed? PASTOR R: No, would you like to continue to speak with him following our interview? PASTOR R: I will properly introduce you to him following our interview. AUTHOR: Thank you. Continuing on, do demons speak through these possessed people? PASTOR R: Yes, the devil does this. AUTHOR: Do you mean the devil or demons? PASTOR R: Yes, there are many different devils or demons who speak through the possessed people. AUTHOR: Have you had any experience with someone who was freed from the demons through exorcism and then became possessed again? PASTOR R: Yes, many people have the demons return to them when the people return to their old sinful lives and practices. AUTHOR: Do the re-burial practices of the traditional religions also add to this problem? PASTOR R: Yes, this practice is very difficult for even Christians to avoid because it is so much a part of our culture. If someone fails to participate in such an event, that person is cast away from his or her family forever. Therefore, many of the Christians continue to take part in the traditional sacrifices at the tombs. This is extremely dangerous for Christians. AUTHOR: Can a possessed person go to church and even take part in the reception of the Lord’s Supper? PASTOR R: Yes, there are some who are baptized and worship in the church, which includes receiving the Holy Communion, who are demon possessed. AUTHOR: This seems hard to believe. Would not the devil flee from the body and blood of Jesus? PASTOR R: Yes, and in my experience the demons do flee, but they also return. Those demons, which do not flee, are the ones that make themselves known to us during the service by their cries and screams of agony. AUTHOR: How does Baptism fit into exorcism? PASTOR R: First, if a non-Christian were to come to us possessed by a demon, he would be taught the Bible. Second, exorcisms would take place, daily if necessary, and when the person was healed, they would then be baptized. Sometimes these things might occur on the same day. At other times, they may occur over a series of months. It depends upon the situation. AUTHOR: Would this practice differ with children? PASTOR R: Yes, we would baptize them first and then instruct them as they grow. AUTHOR: When you use the word exorcism, what do you mean? Is exorcism understood as a ritual or liturgical rite? What words are spoken? PASTOR R: We cast out the devils by the name of Jesus Christ and command them to depart into the abyss from where they came. As far as ritual prayers, such as the Roman ritual, no, we do not do this. It only distracts from the real power of Jesus’ Word. There are many things in this interview which will no doubt cause the reader uneasiness and difficulty. This Malagasy pastor has answered differently than many of us might have expected. One of the most controversial aspects of this interview, for the western Christian, might be the pastor’s acceptance of the possibility for a Christian to become possessed. However, as the reader continues through part two of this book he or she will learn that such a possibility has been accepted by the Church throughout history. The interview in this selection was partially amended. 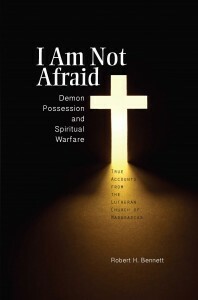 From I Am Not Afraid: Demon Possession and Spiritual Warfare, pages 16–17, 19–25 © 2013 Robert H. Bennett, published by Concordia Publishing House. All rights reserved. To order I Am Not Afraid, please contact CPH at 800-325-3040 or visit www.cph.org.